Yesterday's post was about the new YouMail app for the Blackberry. 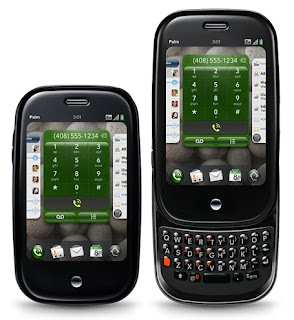 In that post I mentioned that I would love to have that functionality for my Palm Pre, but that it wasn't available yet. Well a reader was nice enough to let me know about YouView, a 3rd party app for the Palm Pre that gives me a fully functional visual voicemail program that completely integrates my YouMail account with my Pre. All I had to do was download the file, pay the $3.99 fee to activate, and enter my account info. All of the voicemails, folders, contacts... everything I have in my YouMail account on the web was available on my phone in a few seconds. I can now see who called, listen to voicemails in any order, delete with a swipe of my finger, transfer from my inbox to a folder, and call the person back... just to name a few. Completely visual - see who called, from where, and even their picture. You can still dial in like before (if you feel the need!). Return the phone call with a simple tap of your finger. Flag voicemails that need followed up so you don’t forget. Save time – Play messages in any order! Tap to play or swipe to delete. Organize – Stay organized by placing voicemails into folders. Voice-To-Text Transcriptions - Know if a message truly is urgent in situations when you can't simply dial or answer your phone. Read and respond to voicemail messages while in a meeting, class, movie or other busy setting. Custom Greetings - Easily have different greetings for your sweetie, your friends, your co-workers and your boss. Choose from a library of free greetings or upload any sound file as a greeting. Share voicemails with family, friends, or colleagues via text or email. Automatically hang up on unwanted callers before they can leave a voicemail. Easily let a pesky ex or telemarketers think your number is no longer in service. Effortlessly sync your YouMail contacts with your phones contact list using Palm’s Synergy technology. If you'd like to download YouView, click here!